Many different types of batteries may be used with Raveon’s M7 series of GPS transponders. This Technical Brief describes how well some common battery types will work with the M7 radios. Actual battery life will vary based upon how often the M7 GPS transponder transmits, but the data in this Technical Brief may be used to predict the battery life of most configurations. For the tests in this brief, a UHF GPS transponder, model RV-M7-UC-GX was configured in GPS mode 2 to transmit its position every 10 seconds. In GPS mode 2, the radio’s receiver is on 100% of the time, and the current draw of the M7 was an average of 90mA. 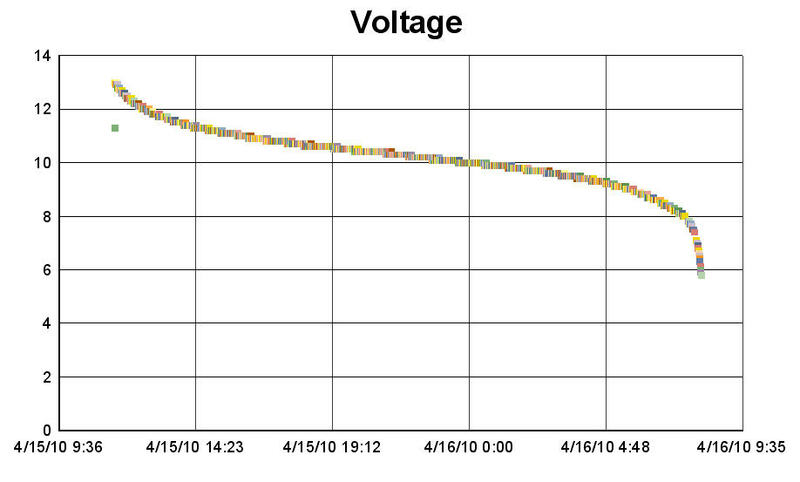 The peak current draw was 2.1 amps for 68mS each time the M7 transmitted its GPS position. These batteries are the common Duracel batteries found at most department stores. 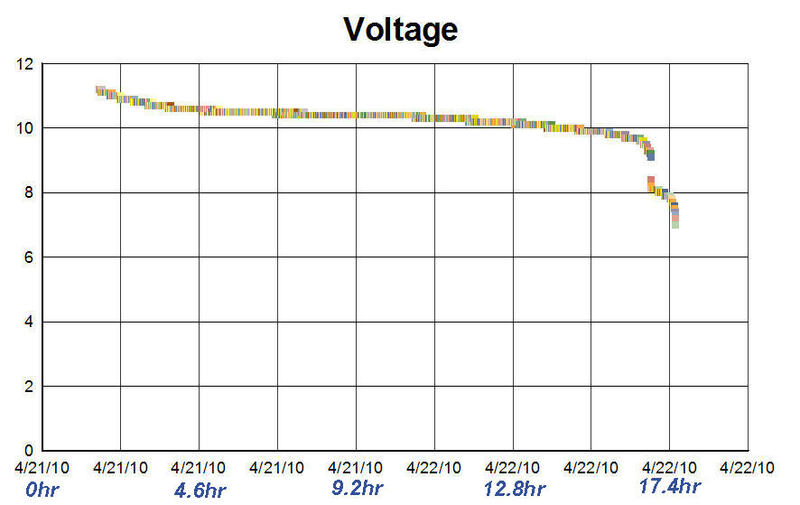 The plot below shows the dip in voltage as the transmitter turns on and off. The Duracell is an OK battery to power the M7 transponder. But its high internal resistance will reduce the RF power output after the first few hours of operation. 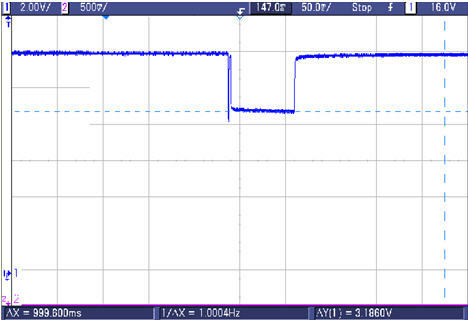 The DC to the radio should stay above 9V while transmitting for full power, above 8V for 3-4 watts. These batteries are the common Energizer Lithium batteries for cameras and digital electronics found at many department stores. Even though the internal resistance of the cell is higher than the alkaline, the Energizer Lithium is a good battery to power the M7 transponder. 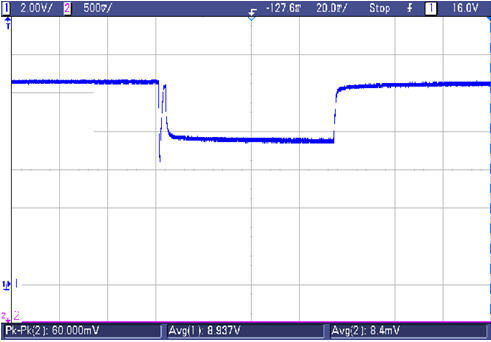 Its high internal resistance will not reduce the RF power output because its voltage is fundamentally fairly high. The DC to the radio should stay above 9V while transmitting for full power, above 8V for 3-4 watts, so the 3.5V dip means the radio will have full power at 12.5V, and 3-4 watts out at 11V DC at the battery pack. These batteries are Nickel Metal Hydride rechargeable batteries. They were fully charged before the test. These batteries should be a good power source for the M7 GX transponder. 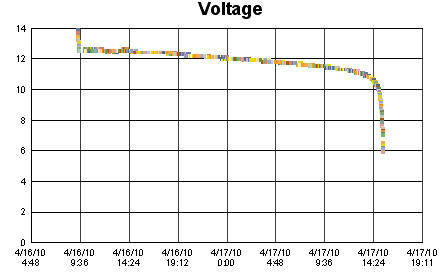 The internal cell resistance is low, but the voltage is also low. The RF power output stayed at full power for most of the life of the battery, dropping to about 4 watts at the end of the battery life. The double dip at end of live was due to the fact the radio keep working down to 6 volts (albeit with almost no RF output because the RF PA is off), and the batteries keep putting our very low voltage for another couple hours.